Choosing between buying vs. renting can be a long and challenging process. It comes down to more than just your budget. It depends on whether or not you've found the right home, your family, your travelling requirements, where your work is situated, and even the choice to invest in property or not. Either way, whether you're buying or renting a UK home, it can be a difficult process to navigate. How do you find the home you're looking for? Once you've found it, how do you ask for a viewing? Or, more importantly, how do you make an offer? And what's with all this legal stuff? This guide makes it easy to start searching for your new home. 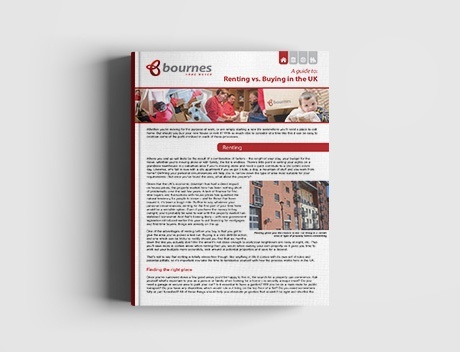 Download the guide to learn about what’s involved in buying or renting a home in the UK to help decide what’s right for you.